We had the great pleasure of hosting journalist Cristina in Cape Town as part of our collaboration with our US travel partner, Extraordinary Journeys. Read her personal experience here. 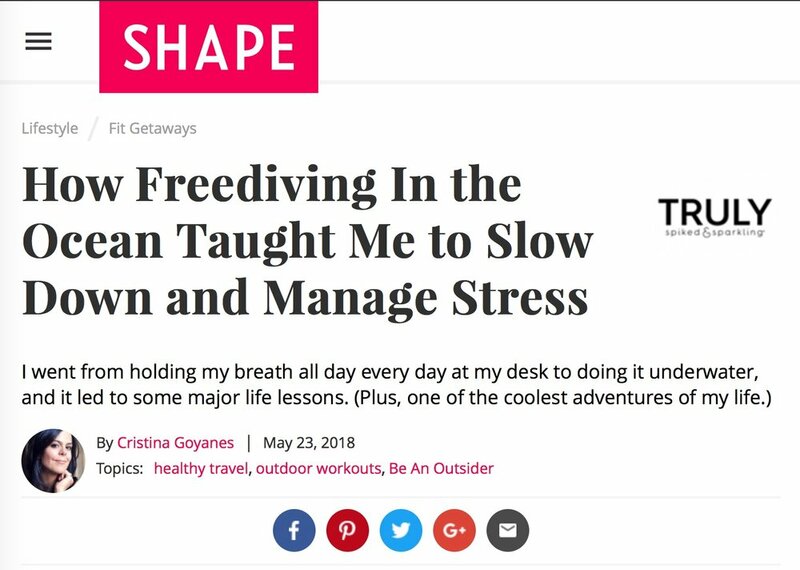 Hanli spoke with Monocle about freediving, I AM WATER Foundation & Ocean Travel, the future of luxury travel and the upcoming trip to Petit St Vincent. Listen to the 15min radio insert here. “In your own time, when you are ready,” Hanli said. I took a big gulp, inverted my body and headed down, down, down. At the surface the sea was choppy, but underwater, as I focused on the swaying rope, it felt supremely still and quiet. Perhaps this is what it feels like for dolphins as they leap into the roar of the air, then splash back down into the silence of the sea. Read the whole article here on the The Telegraph UK. Prinsloo tries to spend three months a year at home in Cape Town, not too far from her favourite diving spot: among the bottlenose dolphins, manta ray and turtles of southern Mozambique. Her post-dive tipple is a glass of Tipo Tinto rum at sunset bar Come & See. She always packs her yoga mat, a wide-brimmed hat, and coconut and vanilla oils to mix as a moisturiser. Read the whole article here on Condé Nast Traveller. 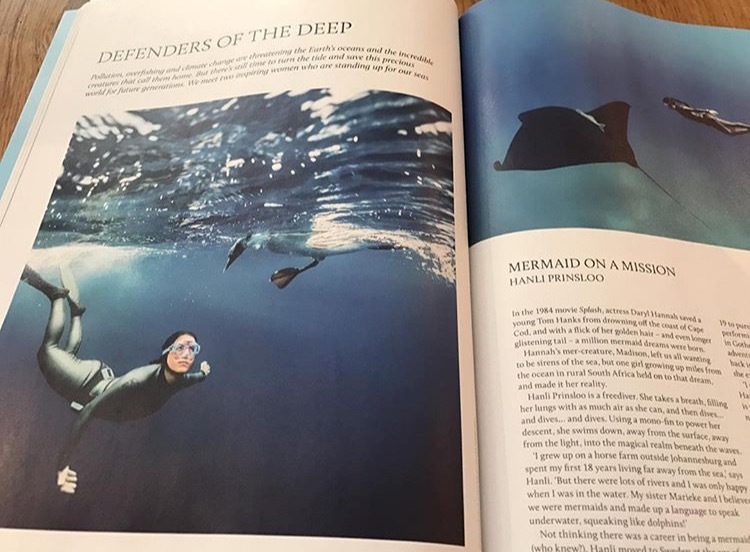 Freediver and ocean conservationist Hanli Prinsloo will be among the speakers at Steppes Travel Beyond, a two-day festival at the Royal Geographical Society on 17 and 18 September. Taking the theme of adventure, the event will hear from conservationists, wildlife experts and explorers. "Our predictions for the freshest travel finds this year." Read the whole article here or in Condé Nast Traveller. "Where is your favourite dive spot?" Read the whole article here on The Telegraph Travel. Read article here on the The Telegraph Lifestyle.